Gorgonzola "Piccante" is a soft, sharp, aged blue cheese made with full fat, pasteurised, cow's milk from the Piedmonte and Lombardy regions of Italy north of Milan. The texture of Gorgonzola Piccante is dense, smooth and punctuated with pockets of slightly crunchy crystals contained within the blue veins, especially on more mature cheeses. 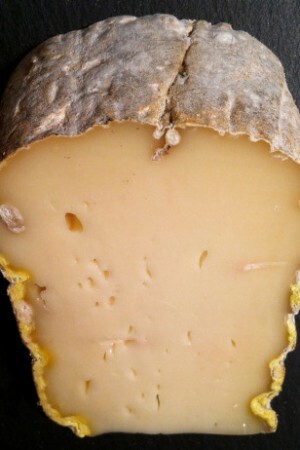 The rough, reddish rind protects tender, light yellow paste shot through with fine blue, green and gray veins. Flavor is assertive, robust, meaty and spicy. An indicator of the strength of the cheese is the paste of the interior, the darker, the stronger it will taste. Gorgonzola may be eaten in many ways. It may be melted into a risotto in the final stage of cooking, or served alongside polenta. Pasta with Gorgonzola is a dish appreciated almost everywhere in Italy by Gorgonzola lovers. Usually Gorgonzola goes on short pasta, such as penne, rigatoni, mezze maniche, or sedani, not with spaghetti or linguine. It is frequently offered as pizza topping. 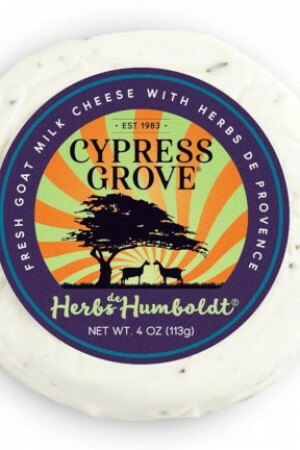 Combined with other soft cheeses it is an ingredient of pizza ai quattro formaggi (four-cheeses pizza). Also known as Mountain Gorgonzola, this one is spicy, or "Piccante". Tart and assertive, it can be broiled on crostini, blended into salad dressing, stirred into cream sauce for pasta or meat, enjoyed on its own with fruit and nuts. 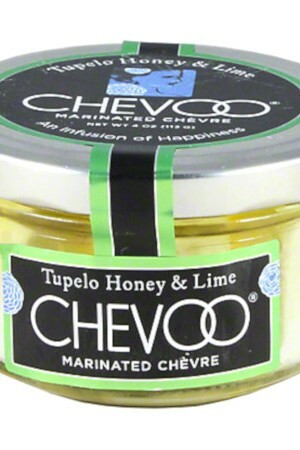 Its penetrative flavors will hold up so it remains prominent in dressings and sauces. 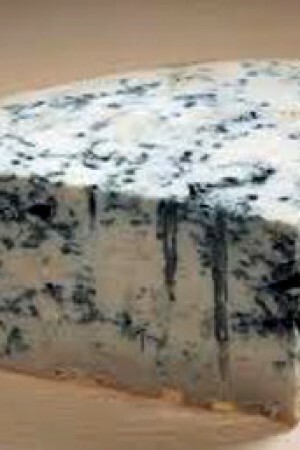 Gorgonzola Piccante is a cow's milk blue cheese with a big history. The town of Gorgonzola was a traditional resting point in the spring and autumn for the herds of cows making their way back and forth between the alpine pastures of Lombardy so local farmers took advantage of the surfeit of milk that arrived in the town and used it to make cheese. They also discovered a natural strain of Penicillum Glaucum mold in the area, if allowed to develop, caused the cheeses to taste much better. Subsequently, they actively encouraged its growth and Gorgonzola was created. The method of working with a ‘double paste’, mixing the evening’s curd with that of the morning, has been used for many years in the production of Gorgonzola. According to legend, Gorgonzola was invented by a lovesick cheese maker who, in his haste to meet his lover, forgot the curd in a cauldron over night only to mix it up on the following morning. The resulting cheese, given that the more acid paste from the previous evening would not amalgamate perfectly with the morning’s paste, had a wealth of folds and crannies which encouraged the development of moulds inside the cheese as it ripened. The outcome, however, was a pleasant change and the method was subsequently repeated deliberately. Another characteristic in the production of this cheese is its "baking", the placing of the fresh cheeses in a heated room to flavor the expulsion of the serum. After about a month the wheels are pierced with copper needles that allow the air to penetrate the cheese encouraging the development of penicillin which shows as blue veins in the cheese. Today there are about 40 producers of Gorgonzola Piedmonte. The cheese may be made from either pasteurized or raw milk and Italian law dictates that Gorgonzola can only be made in either Lombardy or Piedmonte. Gorgonzola is produced in two styles: Dolce and Piccante. Gorgonzola Piccante was formerly known as Gorgonzola Naturale or Stagionato.